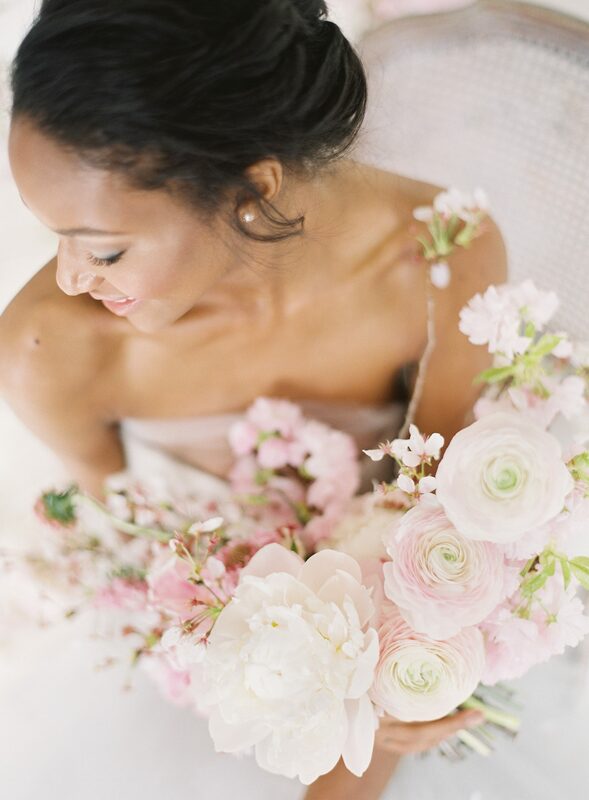 Today we’re excited to share photos from a couple who recently tied the knot! 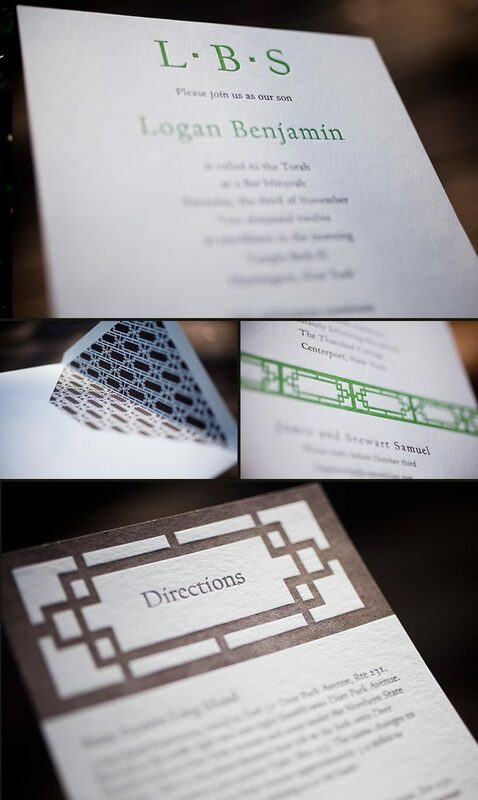 Elissa and Chris worked with Cambridge Street Papers for their classic Vettore wedding invitation suite, and were kind enough to share a few of the beautiful photos from their May wedding. 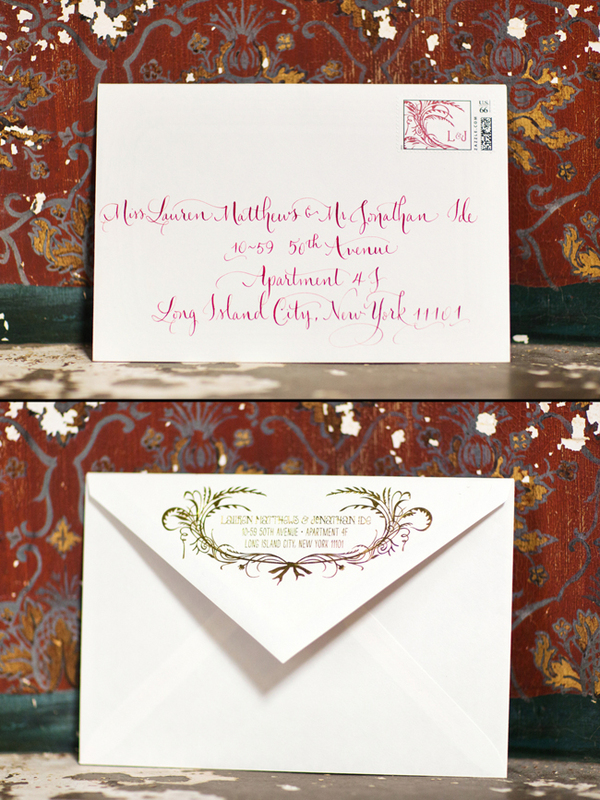 We love the way the postage stamps tie in with the wedding bouquet — such a thoughtful touch! 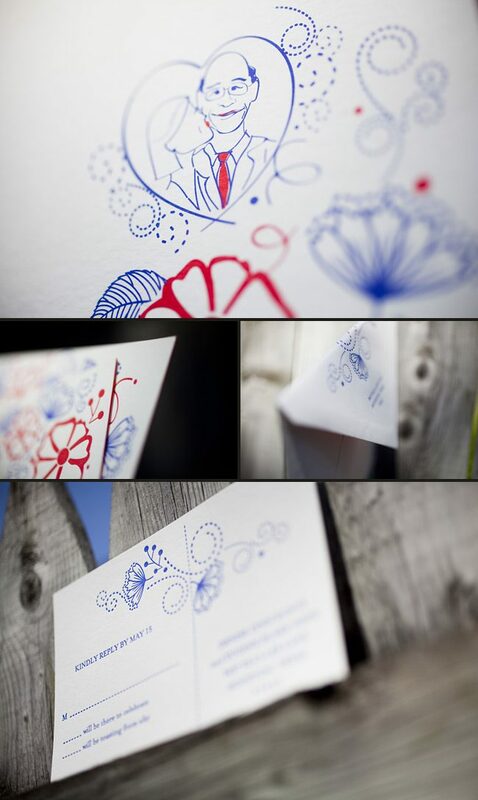 Our grass and pewter inks transform the cherry blossom on our Kurai design into something truly beautiful. 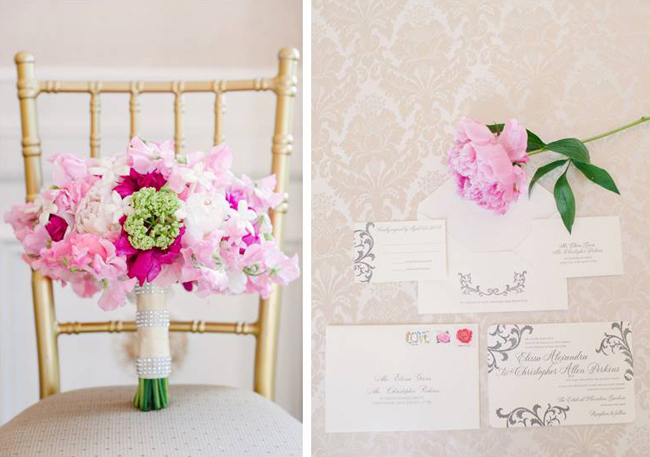 This lovely suite was submitted to us by our good friends at Village Invites in New York City. 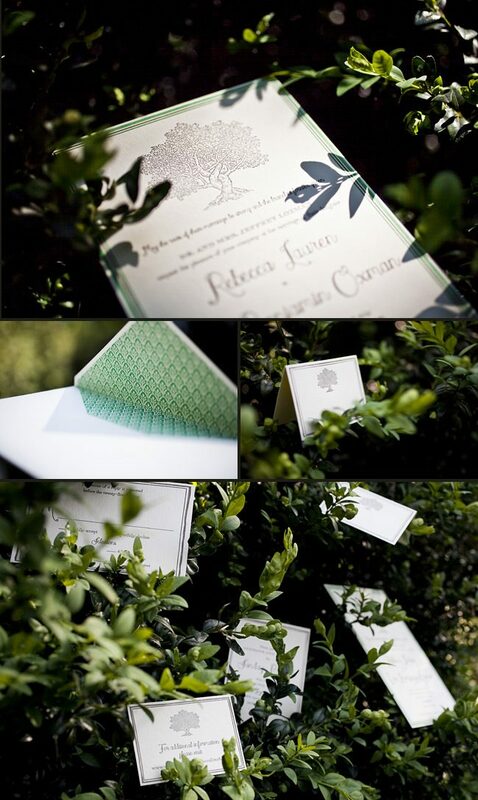 We absolutely adore the earthy tones used in this set and the offset folio printed on both the interior and exterior. 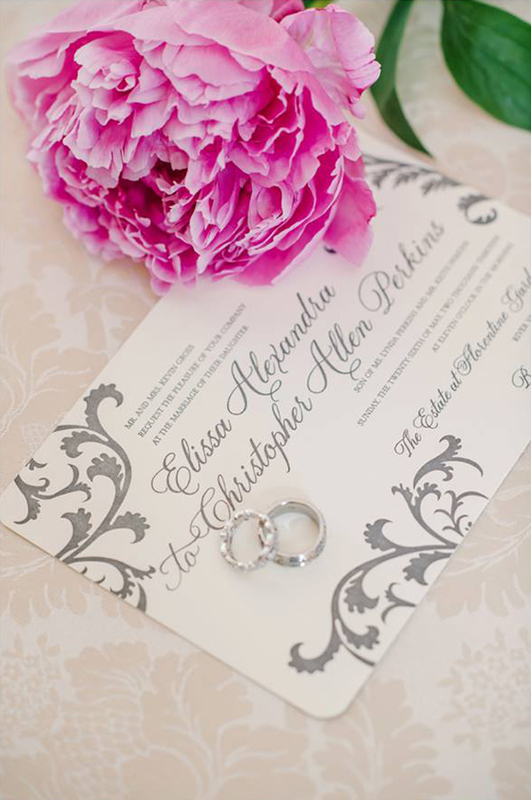 Our Altar design is one of our most popular, but we don’t think we have ever seen this design looking so romantic. 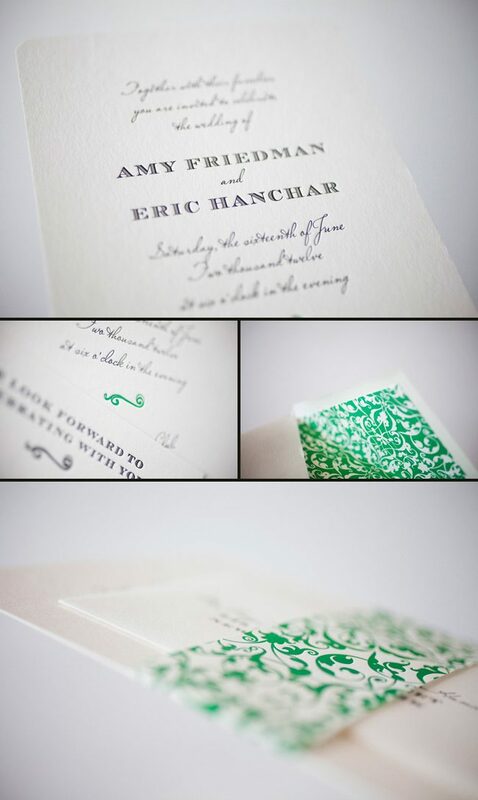 Sent to us by The Dandelion Patch in Washington DC this suite is letterpressed in our pewter and pearl inks, and the feminine touches are carried throughout. 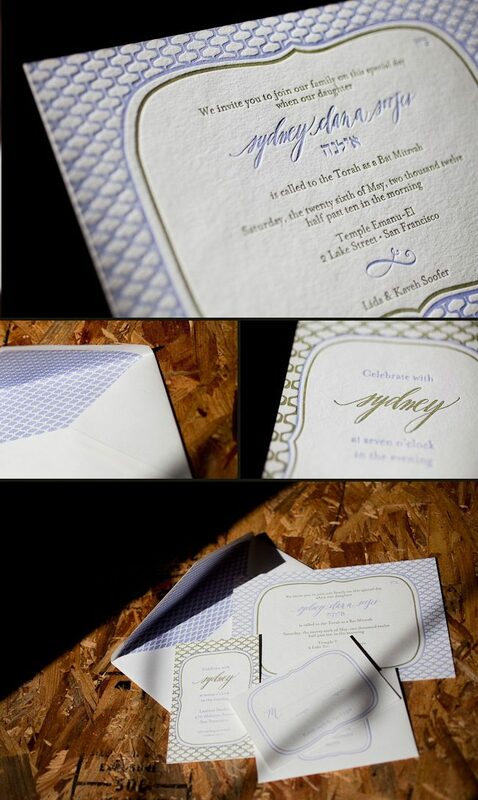 Write Next Door in Bethpage, New York sent in these contemporary Helani Bar Mitzvah invitations for printing. Letterpressed in our espresso and grass inks, this earthy color palette helps keep this set looking youthful, but sophisticated and the three letter monogram at the very top is so classic. 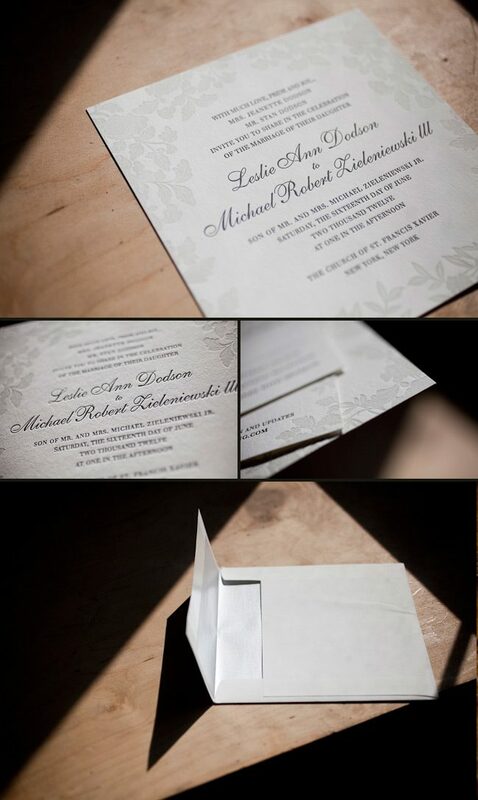 The envelope is lined in our merritt pattern which we also adore because it matches perfectly to the bond border on the invitation.